Can Luca Gargano do for Clairin what Ron Cooper did for Mezcal? Undiscovered, authentic, organic, sustainable. Pick any combination of today’s most desirable marketing buzzwords, and clairin—the spirit of Haiti—can rightfully lay claim to all of them. 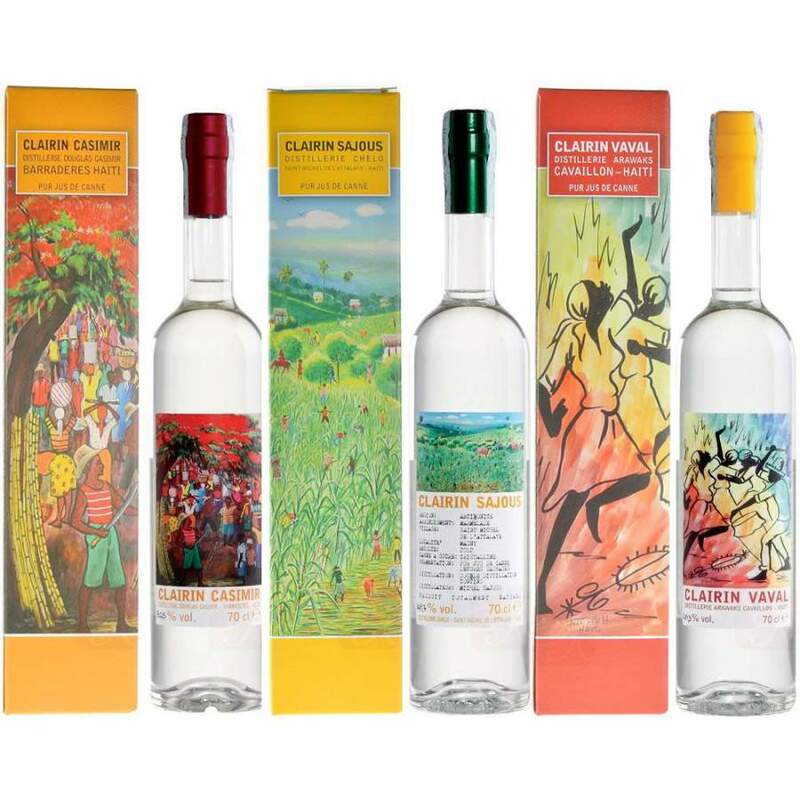 Distilled from spontaneously fermented sugarcane juice, clairin bears a resemblance to rhum agricole from the French Overseas Territories, but remains a unique spirit unto its own. Luca Gargano of Velier (the Genovese importer famous in rum circles for rare barrels and the elevation of Caroni rum to cult status) has made it his mission to earn clairin a place on the American back bar. It will be no easy task, but getting even this far is frankly a bit of a miracle. 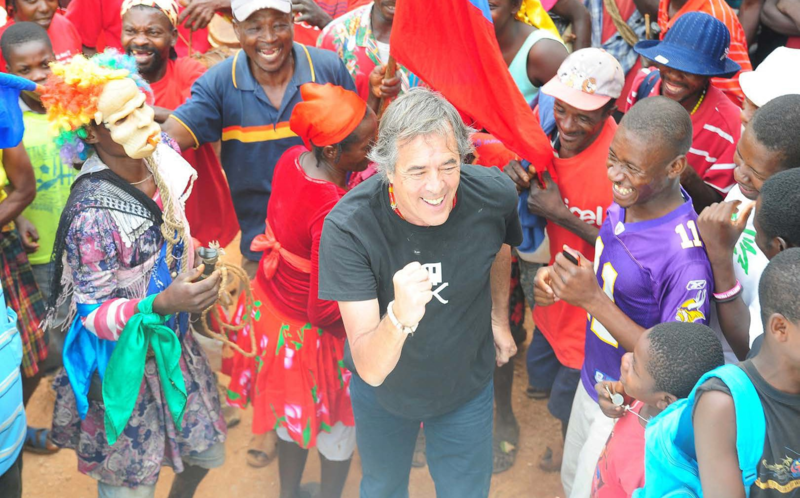 Gargano and colleague Daniele Biondi began visiting Haiti in 2012, seeking out the best producers among the five hundred plus clairin distillers in the country. After fifteen trips back and forth between Italy and Haiti, Gargano and Biondi identified three distillers making exceptionally good clairin in their own respective regional styles: Faubert Casimir, Michel Sajous, and Fritz Vaval. Let’s take a look at each, but before we do, let’s see what makes clairin clairin. Faubert Casimir’s father Duncan built the family’s distillery in 1979. Located in Barradères, the property lies about 130 miles west of Port-au-Prince. There Casimir grows about 120 acres of cane, mainly Hawaii red and Hawaii white cane. 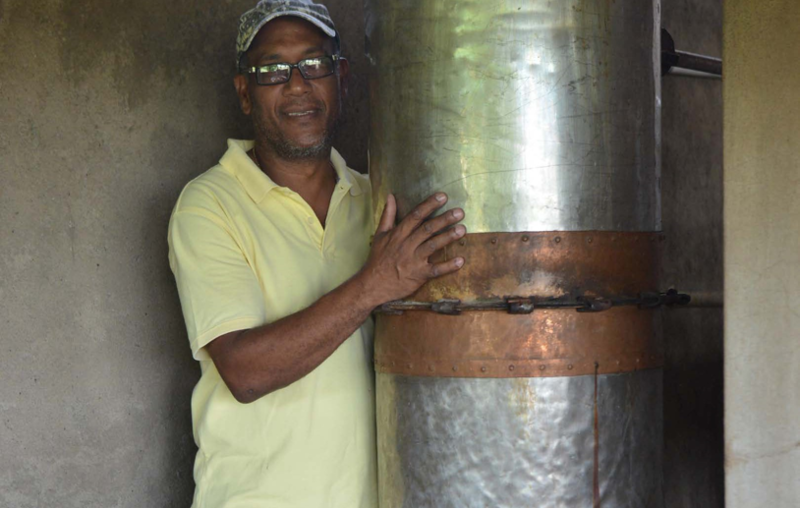 The cane juice is spontaneously fermented in five mango wood vats, each about 800 gallons. 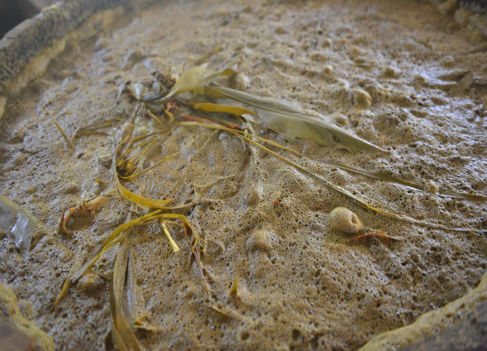 Atop the fermenting cane juice, Casimir often adds herbs and other vegetal matter. These additions are particular to the Barradères area, and are thought to alter the pH of the wash, improving the efficiency of the long fermentation. Above all, Faubert does it this way because that’s the way it’s always been done. 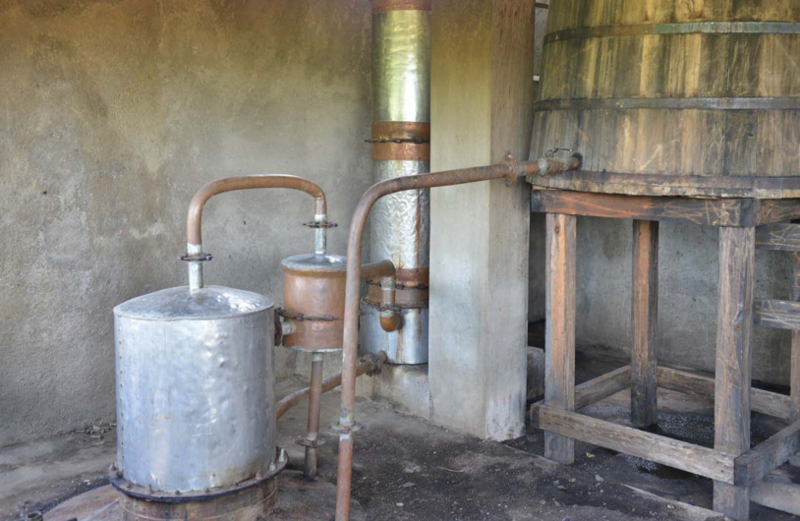 The resulting wine is distilled in a batch still with six copper plates to about 50% ABV. The nose on Casimir’s clairin is incredibly savory and wholly unique. Brown butter and wheat grass gives way to nori and brine, citrus zest and pepper. On the palate, citrus zest brightness is immediately followed by a wave of savory flavors including brown butter, seaweed, and roasted vegetables. A hint of fruit comes next suggesting deep purple berries and a bit of ripe pear. The brightness persists as an astringent minerality appears and dries out the palate. The finish is extremely long and dry with brine and citrus giving way to cooked dark berries and finally roasted fennel with a dash of white pepper. 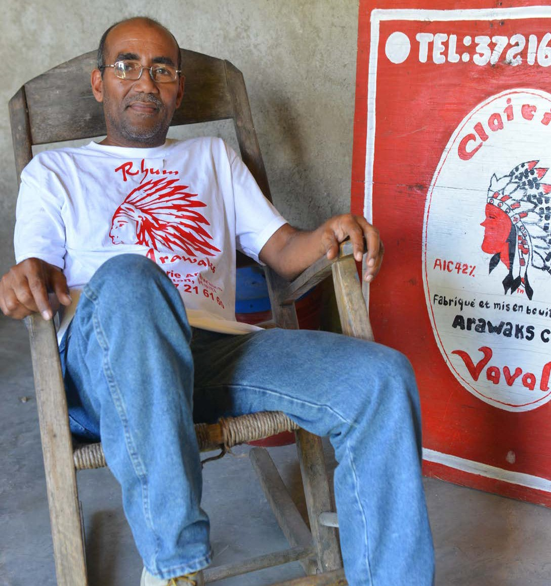 Michel Sajous owns and operates the Chelo Distillery in Saint-Michel de l’Attalaye. Located roughly 100 miles north of Port-au-Prince, the property sits at about 1500 feet of elevation. There Sajous grows 75 acres of cane, including the Crystalline variety. Mules deliver the cut cane to the mill where the juice is either directly fermented or concentrated to syrup to account for asynchronies between harvest and distillation. Like at Casimir’s, the long fermentation is accomplished in five open vessels of around 800 gallons, and the wine is distilled to about 50% ABV in a batch still with six plates. The nose on Sajous’ clairin is more reminiscent of a rhum agricole, showing grass, green apple, butter and brine with a hint of black pepper. On the palate, it makes a buttery slick entry with grass and ripe mango followed by a kick of spice represented by cinnamon and red pepper. The long finish marries ripe mango, smoked cheese, and cinammon spice. 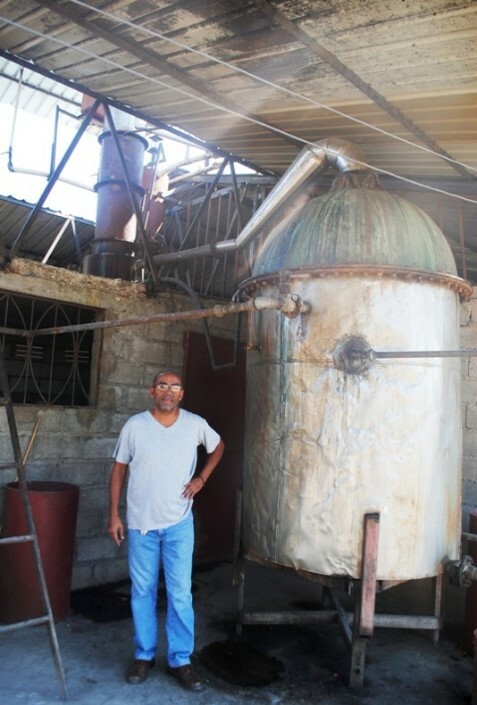 Fritz Vaval’s Arawak Distillery is located south of Casimir’s distillery in Cavaillon, about 125 miles west of Port-au-Prince. Founded in the late 1940’s by his father Danois, Fritz continues the tradition, farming 50 acres of the Madame Meuze cane variety. 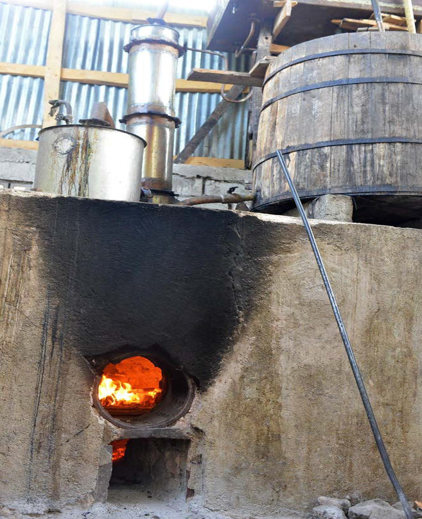 As with the other distilleries, Vaval’s cane juice is naturally fermented in open vessels over about five days. The wine is distilled in a homemade batch still to about 50% ABV. The nose of Vaval’s clairin shows roasted greens, volatile acidity (think airplane glue), thyme and marjoram. On the palate, a sweet and spicy entry exhibits ample roasted fennel and anise, followed by roasted corn and green apple. The roasted vegetable notion persists as the spice dies down and minerality is dialed up. The long finish is dominated by roasted fennel and mix of white and black pepper. Getting the rum into American bars is another story. In order to do so, Gargano teamed up with Thierry Benitah from France’s La Maison du Whisky. Together, the two companies joined to form the Paris-based La Maison & Velier. The first market outside of Europe to see La Maison & Velier’s products is New York, where Biondi is paired with famed Seattle bartender and rum aficionado Kate Perry. The two are charged with the arduous but exciting task of introducing a new class of spirit to one of the world’s most competitive markets. New York and its sizable Haitian community is first, but a methodical nationwide roll-out is planned for the near future. With consumers developing a deeper appreciation for flavorful white spirits like mezcal, clairin is well-positioned for growth and deserves both your attention and your dollars.